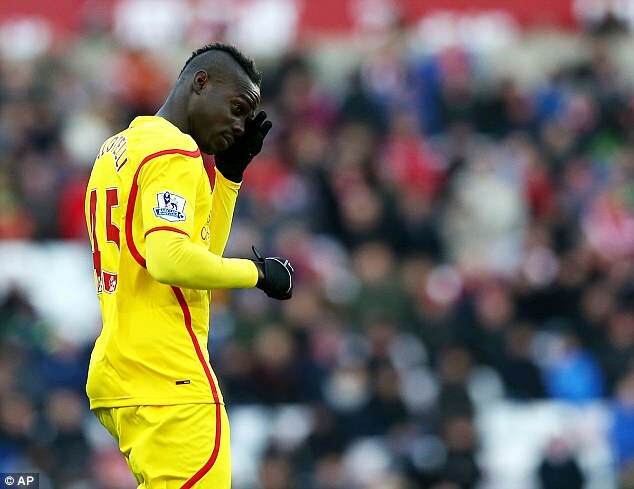 Balotelli’s agent has rejected any talk of the loner striker leaving Anfield to return to Italy this month. Juventus boss Allegri confirmed on Monday that he is interested in signing the Italian who has not impressed much since his move to Anfield. According to a report by The Times and Tuttosport, Italian club Juventus are keen to sign Mario Balotelli in spite of the Italian’s awful form in the Premier League where he has failed to score a single goal for Liverpool. But Mario’s agent has completely denied his link back to Italy after several reports suggested that he can move to Juventus on a loan deal which will be made permanent in summer for £14million. Mino Raiola, Balotelli’s agent has rejected any talks linking the former City striker, who still has to open his account and hasn’t scored a single goal in the Premier League since his arrival from AC Milan in August to a move back to Italy. He told Calciomercato: “Balotelli is not doing well, but must remain calm and work hard. Nobody questions his qualities and I am not worried. “Now you do not hear talk of his private life and this is already a big improvement. Chelsea Transfer Round-Up: Does the Special one need a special player in this transfer window?